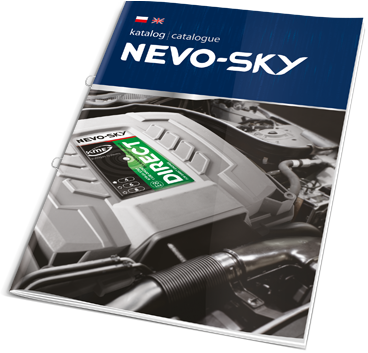 The new product line NEVO-SKY was created as a result of activities undertaken as a part of realization of a visionary project, the purpose of which was to create devices support comprehensively all kinds of available vehicles. The new product line includes ECUs for cars with direct injection (DIRECT) as well as controllers of cars with indirect injection (MAX). It is innovate, comprehensive platform, which is dedicated for all engine types (engine code and car brand do not matter). 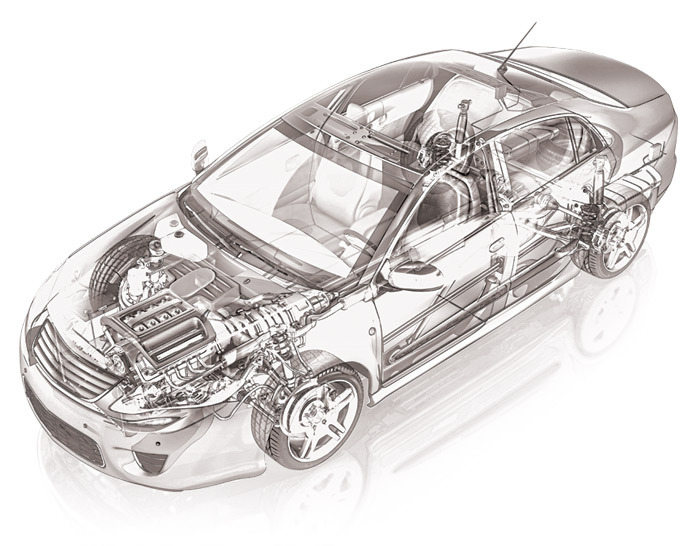 Operation of gas ECU is based on the fast, dual-core processor dedicated to automotive industry (Automotive). 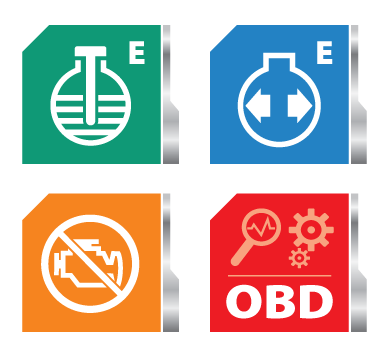 As a result, gas ECUs are accurate and easy to use, offering also many diagnostic tools dedicated for the calibration process of modern engines. 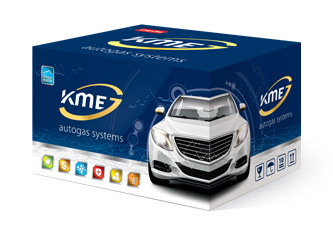 Using the latest generation components, gas ECUs can easily support contemporary solutions and algorithms of petrol ECUs. 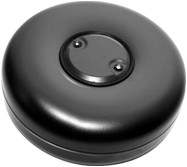 NEVO-SKY system uses one, analogue pressure sensor CCT6 (gray). 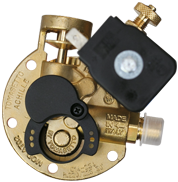 The pressure sensor has got a new 5-pin connector, and construction ensures precise measurement of gas pressure and gas temperature. NEVO-SKY supports three control panels (switches), including the new, multicolor DG7 RGB. New product line NEVO-SKY has new, improved software, which is based on the current NEVO software, thus facilitates service for professionals who have experience with the KME products. 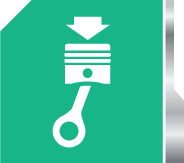 A major advantage of the software is possibility of use it for gas ECU, which support both types of cars – with direct and indirect injection engines. 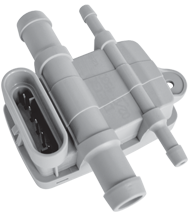 NEVO-SKY controllers are equipped with modern, tight body cover and hermetical 48-pin connector designed for the automotive industry. The housing is designed in the image of a modern 8 cyl. power-engine unit. Newly designed harness has got a new plug, which allows to arrange wires at 90 degrees to the axis of the slot. 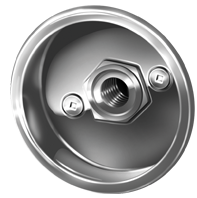 That facilitates assembling and installation in the engine compartment. 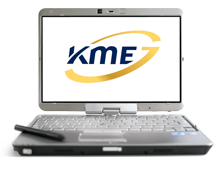 KME’s original solutions – such as OSA, MOSA and supporting high power cars – which are applyed in the NEVO family, have been preserved and developed in the new line NEVO- SKY. In addition, emulators - fuel level emulator and fuel pressure emulator - and OBD Auto-Clear tool were built in contollers without need to connect any additional devices. Due to these solutions car equipped with system with controller DIRECT or MAX becomes more ecological and economical. 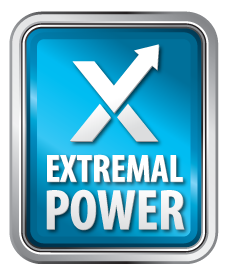 At the same time gas system do not influences car’s original traction properties (power and acceleration). NEVO-SKY systems succesfully function in cars, which fulfill emission standards EURO 4/5/6. 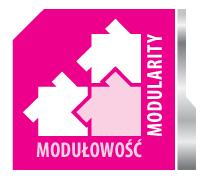 One of the most important assembly features, which characterizes KME devices is modularity. Both systems (MAX and DIRECT) have one type of equipment including harness, pressure sensor, control panel (switch). 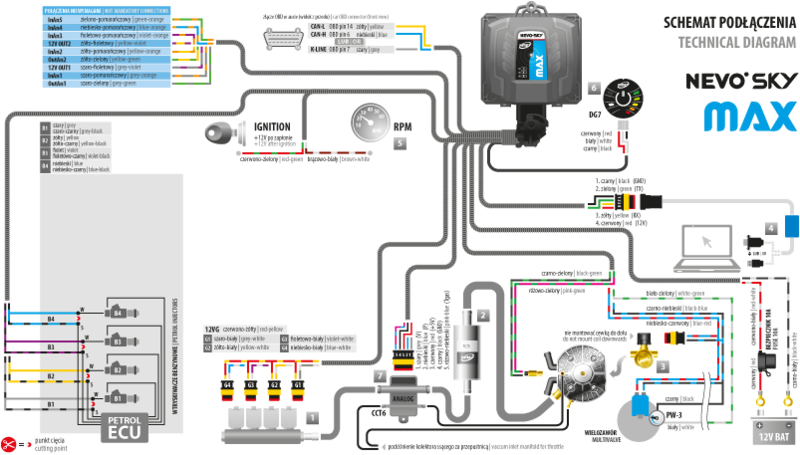 Controller is selected according to the type of fuel supply used in the vehicle. In comparison to similar devices, DIRECT distinguishes the construction (i.e. 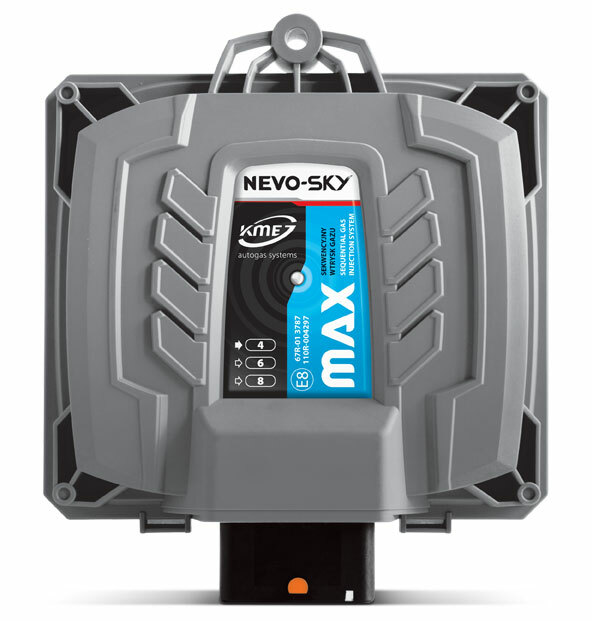 it has one connector, which facilitates assembly of gas installation) and intuitive software, which is based on the current program NEVO. 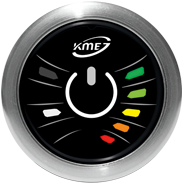 As a result, every specialist who has experience with KME products will be able to configure and calibrate the system without any obstacles. 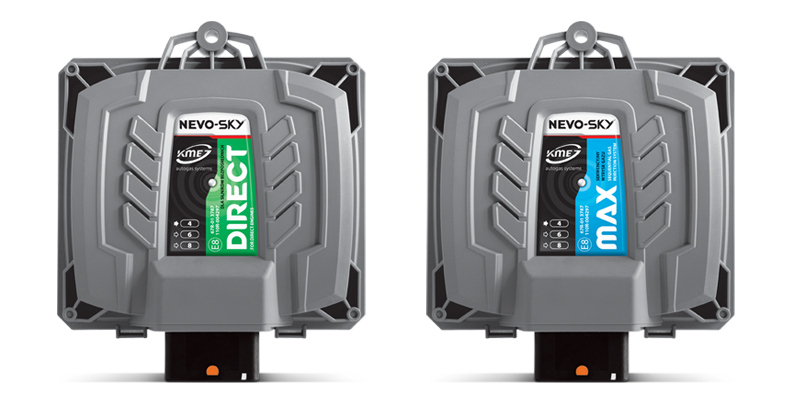 DIRECT ECU from new line products NEVO-SKY is dedicated for installation in a modern and more and more popular cars with direct petrol injection. 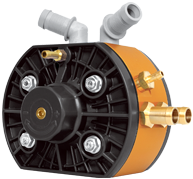 DIRECT is produced based on modern technology of automotive gas installations production and with high quality components which are available on the market. 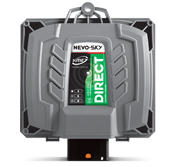 standard set - it contains NEVO-SKY DIRECT ECU, parts and accessories for LPG installation. extended set - it contains KIT (standard set ) and LPG/water hoses. MAX ECU is a continuation of a currently available NEVO ECU family, equipped with a new, sealed housing and new configuration options. 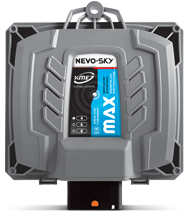 MAX is a part of an innovative platform – NEVO-SKY product line, which allows to use one software and the same set of equipment (harnesses, pressure sensor, control panel) in various controllers. Dual-core processor enables fast communication and implementation of many functions at the same time. The device is dedicated for modern and more and more popular cars with direct petrol injection. 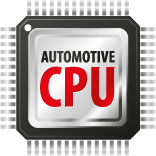 New features which are built into CPU make it suitable for using in high power motors. 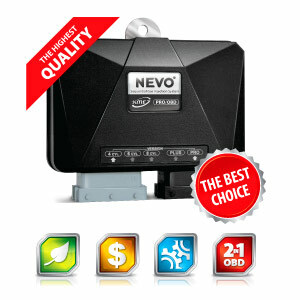 standard set - it contains NEVO PLUS ECU, parts and accessories for LPG installation. 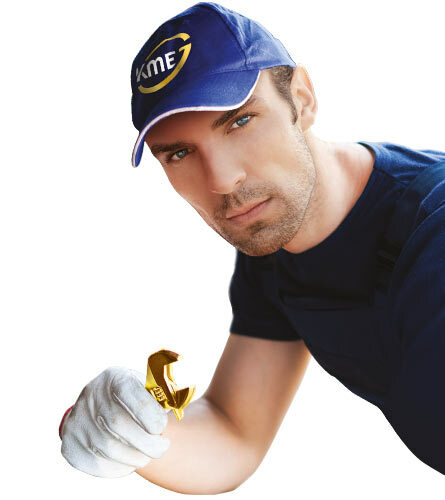 Periodically we publish the catalogue of our products. 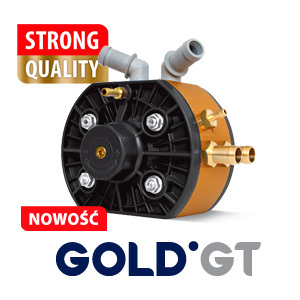 This multi-lingual discripsion is the perfect introduction to the knowledge and popularisation of a wide range of our products in Poland and abroad. 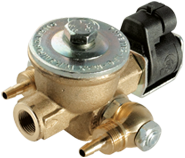 Catalogue includes electronic control units and reducers. Gas system is powered by an alternative fuel LPG/CNG. Gas from the tank where it changes its state from liquid to the vapor. Next, in vapor phase, it goes into the filter where it is cleaned from particulates. The filter unit is an important element of the gas installation, because is responsible for the cleanliness and hence proper operation of the entire system. The gas is supplied to the injectors, which should be placed as close as possible to the intake manifold. 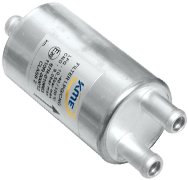 Between the filter and injectors there is a pressure and temperature sensor that continuously analyzes the gas parameters. The entire installation of LPG/CNG operates under control of the NEVO ecu which is downloading information from the petrol ecu to adjust the appropriate gas dosage. 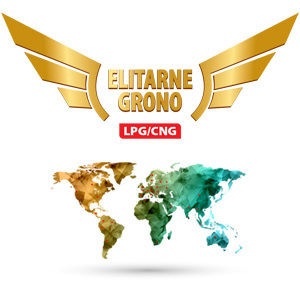 Due to that every cylinder is supplied with the correct amount of LPG and it eliminates noticeable differences between driving on gas and petrol. The system communicates with the driver through the switch - control panel on dashboard in the passenger compartment. The NEVO electronics family is a generation preceding the NEVO-SKY line. NEVO products are characterized by the use of advanced production technology and high functionality. Long service life and easy maintenance. We sell products in more than 35 countries. If you have questions regarding the installation and calibration of our equipment, call or write to us - our TECHNICALS are at your disposal.